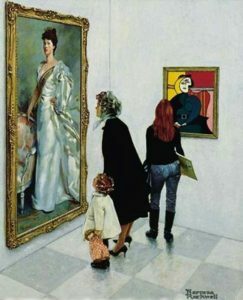 How art has changed over the years! Which style do you prefer? This painting is by Norman Rockwell.